The Monjon is the smallest of the rock-wallabies and is endemic to the far northwest Kimberley region of Western Australia. The most significant threats to the Monjon are likely altered fire regimes and possibly predation by feral cats . AWC is protecting Monjon habitat in the Artesian Range, across some of the Wilinggin and Dambimangari IPAs and conducting research on this elusive species. AWC is conducting research on the elusive Monjon and protecting their habitat in the Artesian Range by implementing fire management (prescribed burning). Prescribed burning on Artesian Range is decreasing the incidence and extent of intense late season wildfires that are more likely to burn into rugged and rocky country. The most significant threats to the Monjon are likely altered fire regimes and possibly predation by feral cats. The increasingly intense and frequent fires in northern Australia may be more likely to burn into the rocky highly dissected areas the Monjon inhabits. 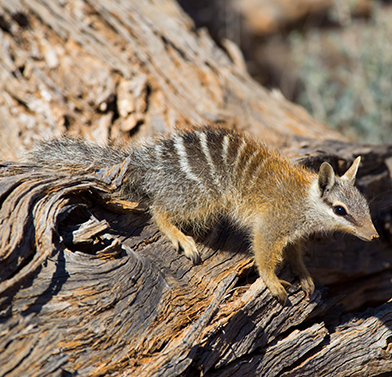 The small Monjon may be at high risk of predation by feral cats. The Monjon is the smallest of the rock-wallabies. Due to the inhospitable and remote nature of the rugged northwest Kimberley, the Monjon was only recently discovered by science (in the 1970s). The Monjon grows to a head-body length of only 30 – 35 cm and weighs between 900g and 1.4 kg. Its back is marbled olive to tawny black, and has a brownish face with lighter fur around the eyes to snout. Its flanks, tail and feet are a deep greyish-olive, and front is an off white. Like all other rock-wallabies, the Monjon has an extremely granulated and rough sole to the base of its hind-feet. This incredibly grippy sole allows it to gain traction and propel itself forward over rocky surfaces that can at times be very slippery. 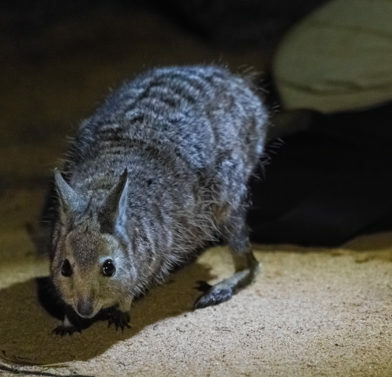 Rock-wallabies are most active in the evening and early hours of the morning. During the day Monjon shelter within crevices and caves and at night emerge to forage on grasses and perhaps herbs and leaves. 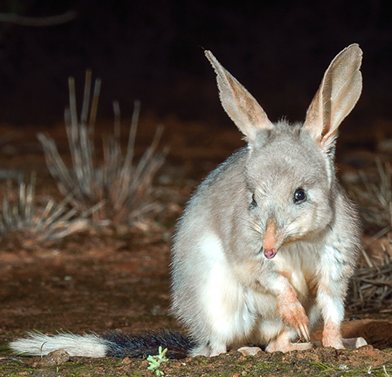 Their habitat is characterised by low open woodlands of eucalypts, acacias, figs and Terminalia. 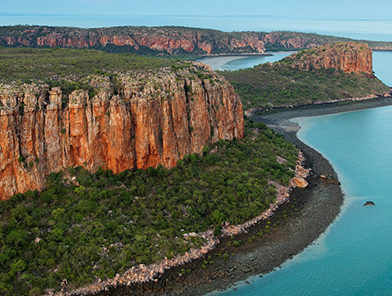 The Monjon is an endemic of the far northwest Kimberley region of Western Australia. It is entirely restricted to the highly fractured and rocky sandstone country that is found along the Kimberley coastline and on offshore islands in the Bonaparte Archipelago. Its distribution is patchy as it prefers rugged country with large rock outcrops that contain deep crevices and caves. 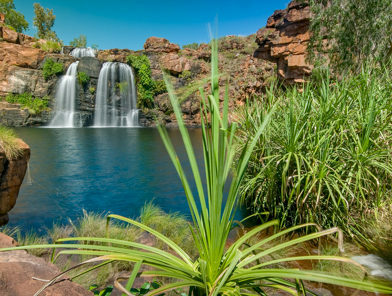 Charnley River-Artesian Range has a vital role to play in protecting and restoring the endangered wildlife of northern Australia.